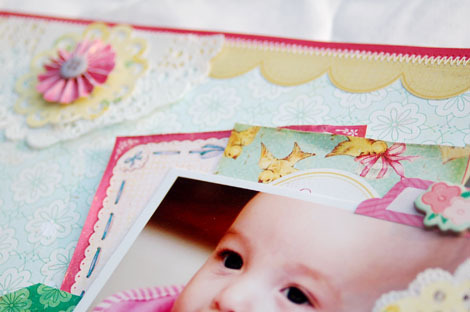 Bits and Pieces...: Crate Goodies! 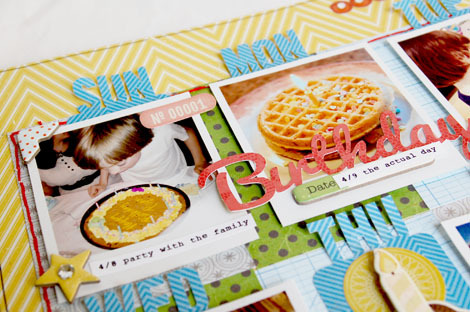 Speaking of girls, I recently created this page for Crate using the new Little Bo Peep line. I scrapped my friend's daughter, since obviously I don't have a baby girl of my own. Isn't she adorable? I cut some doilies using my Silhouette and layered them onto some store bought white doilies. I love the effect. 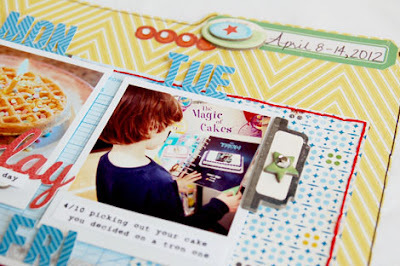 I also used some of the journaling cards to mat the photos. 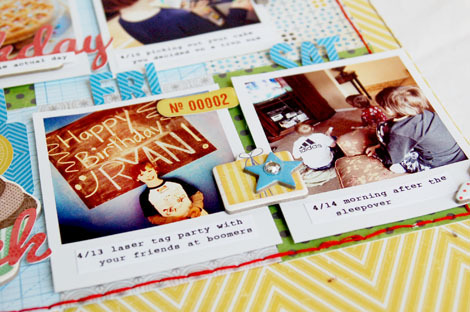 This next page documents Ryan's birthday WEEK! I wanted to record all of the things he did that week and our assignment for the CP blog to create a project based on a chart was perfect for this. 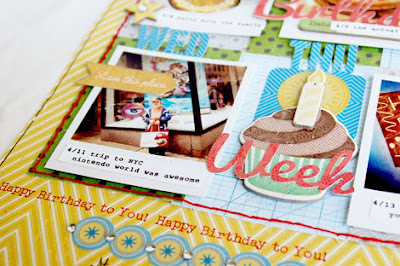 I used mostly Little Boy Blue on here and added some chipboard from Pretty Party. The days of the week tabs and the title were also cut from my Silhouette. LOVE both. 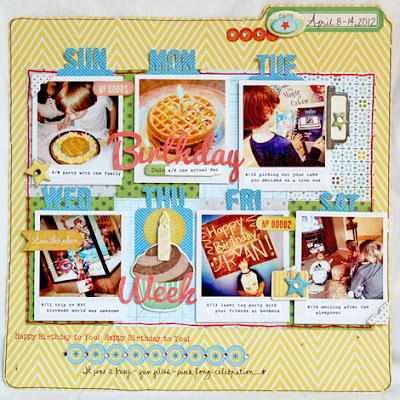 I really think the chart inspired layout is just FABULOUS. And the little bo peep layout is just to die for! So cute =) and the second is fine too. Oh good gracious, these are both amazing! I LOVE them! Both are SWEET PERFECTION!! LOVE! Both are fantastic Anabelle! 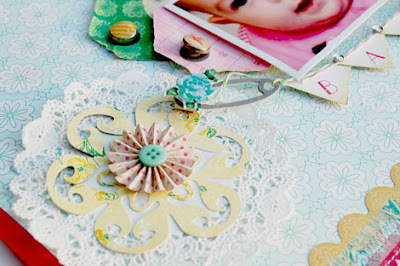 That girl layout is so cute, love the layering and the doilies. The birthday page is so smart how you did the days of the week, fabulous design! love them both, but especially the second one...great mulitphoto layout! Its amazing how you can go from pretty girly, to structured and linear and make them both look so fabulous, thankyou for your very sweet comments on my blog I truly appreciate them! 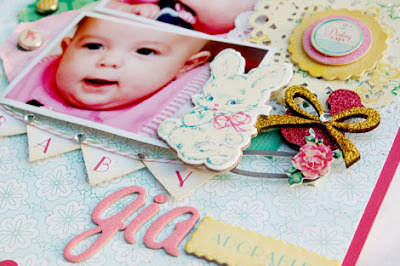 Love your Gia layout! Those colors look great together.